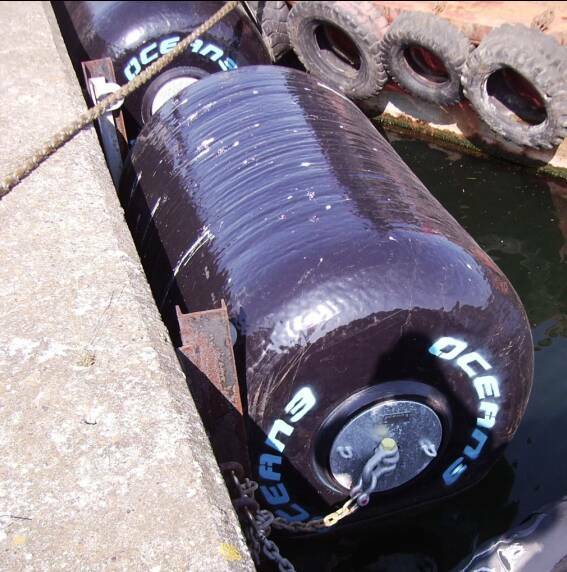 Ocean 3's range of Marine Foam Filled Fenders are used for the protection of Ships and Quay walls during berthing manoeuvers. Called "Mobile" because they are not fixed, these Fenders will guarantee a safe operation between the Vessel / Dock or during a ship to ship berthing, even in the harshest of conditions (Wether Sheltered or exposed). 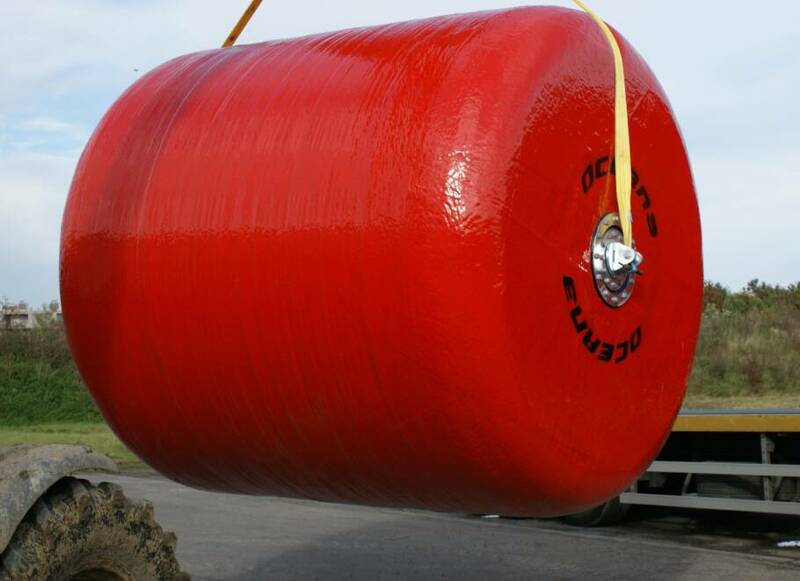 The Specification of the Foam Filled Fenders is defined with the help of our Technical Department according to the size of the considered Vessel (Displacement, length, width, Draft) and the berthing conditions. 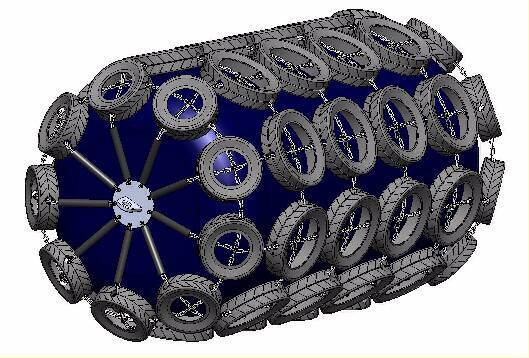 The design is based on a method which best compromises all the given parameters: Dimensions of the fender, required Standoff distance, Density of foam core, all in view to calculate the best suitable dissipation of energy coupled with reaction force, within the Boat hull's capacity. A thick coating of PU is sprayed onto the PE foam core, thereby improving its performance and to give the fender increased resistance against abrasion during operations on Quay Walls, piers, jetties and/or aggressive surfaces. 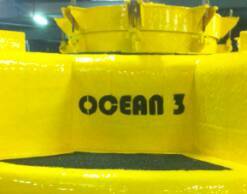 Ocean 3 s' "Mobile" Fenders are made to order, manufactured to the nearest centimeter both in diameter and length, precisely made to measure to neither exceed nor underestimate its ability to perform. 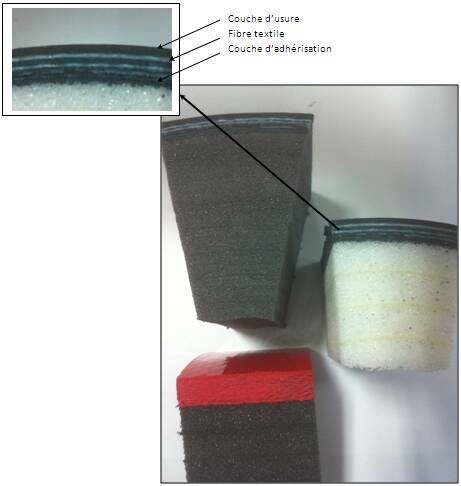 100 % closed cell polyethylene (PE) foam ensuring a high amount of buoyancy, even in case of damage to the outer coating. A wide range of densities are available, from 18Kg / m³ to 200 kg / m³, to offer a high dissipation of Energy and a low Reaction Force. 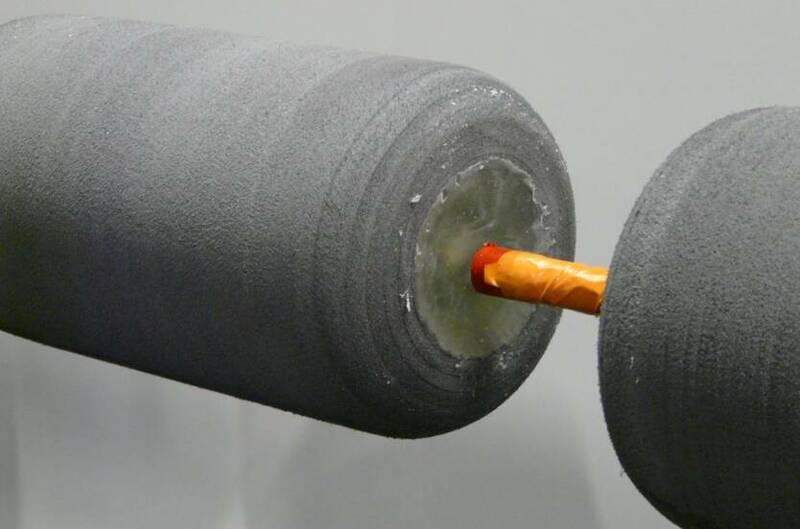 Composite encapsulation with Polyurethane matrix (PU), polyester polyurea type, for hydrolysis and marine condition resistance, reinforced by fibers, thread layers, synthetic fabrics or even metal. The thickness of coating is applied from 5 mm to 50 mm, sometimes beyond for specific applications. 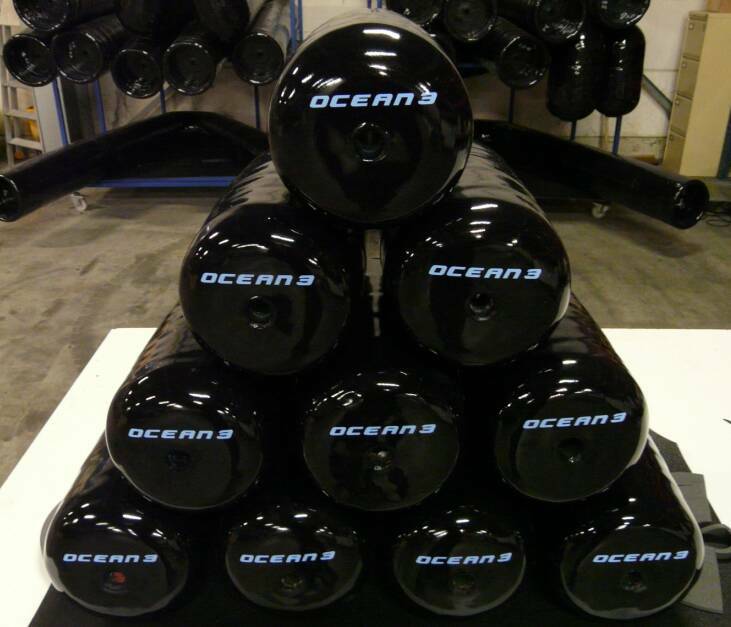 Ocean 3 Foam Fenders are manufactured from Ø 100 mm to Ø 4000 mm, with length varying between 1,2 x Ø to 3 x Ø according to the construction rules. The below table shows dimensions the most common dimensions without being exhaustive. 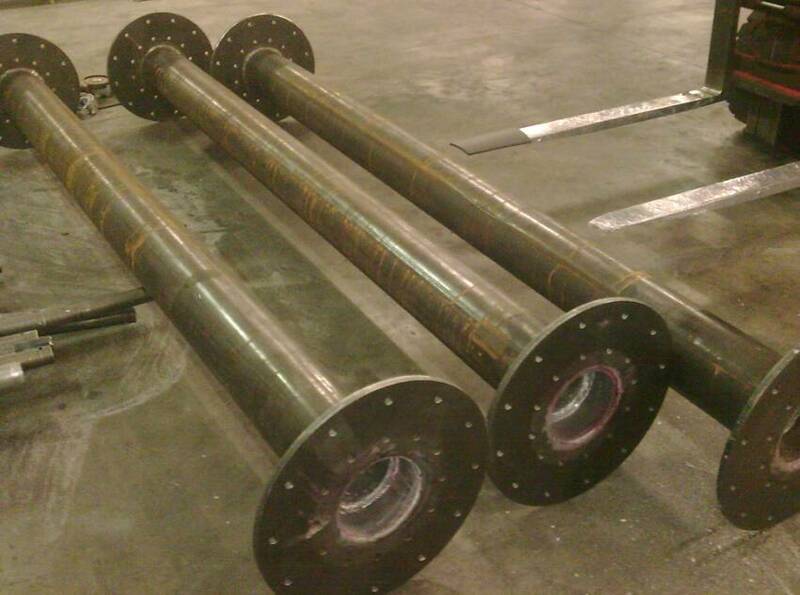 Tailor made fenders are manufactured to the nearest cm in diameter and length to meet your exact needs. 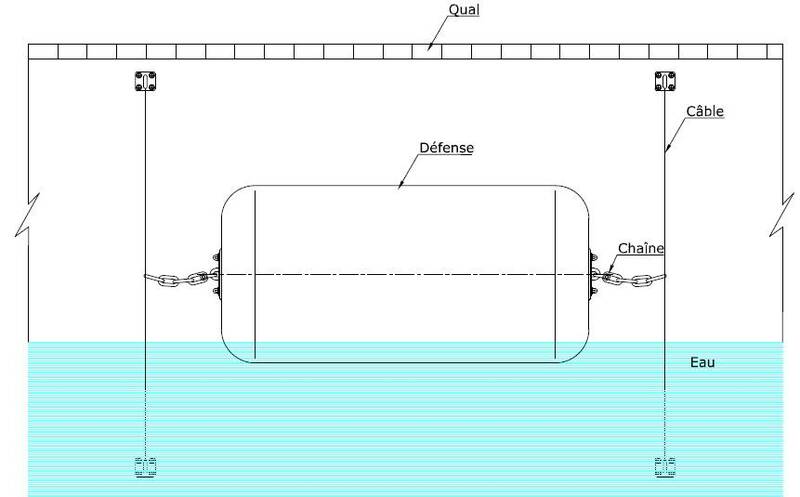 Energy absorption: Fenders' capability to dissipate energy generated during the berthing. Reaction Force: Strength/Push generated by the compression of the fender during the approach, taken by both the dock and the ships' hull. 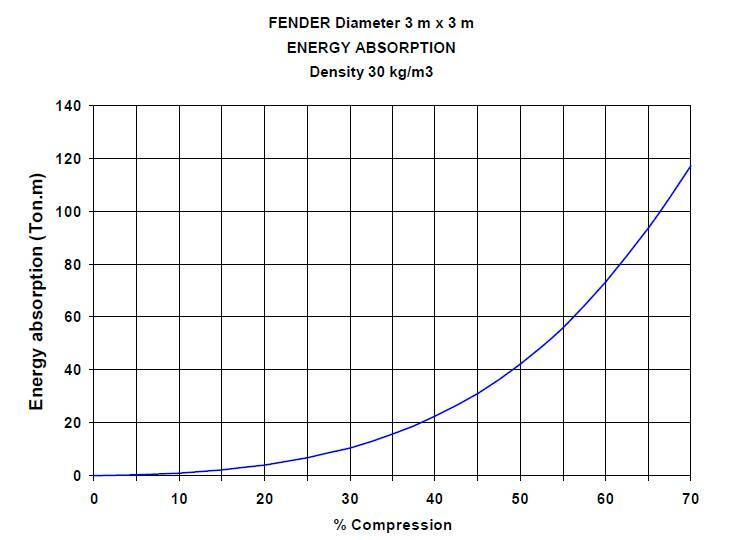 The below graph expresses the energy dissipated by the Fender in different stages of compression. The Energy can be calculated up to 60% compression; however, occasional higher compression is possible provided they only last for a few moments, ie. the time of an accident. At and above 75% compression, the Fender will struggle to return to its original diameter but will continue to perform its protective role none the less. There is a necessity to be weary of sharp metal objects in those situations. 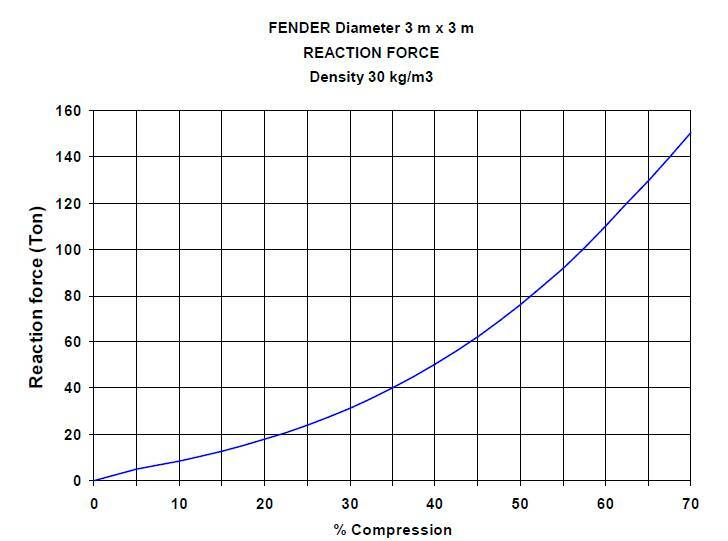 The "Reaction Force" curve reflects the forces generated on the Quay wall and Boat Hulls' during the Fender compression. All above figures are given for a deflection of 60%. They are subject to slight variations depending on operating temperature, berthing speed, and dimensional tolerances. This is the most common model; the Fender is crossed by a chain of variable size that allows fixation on each end via a flange and shackle. Externally fitted swivels are recommended to prevent the chain from wrapping on itself and wearing out prematurely. 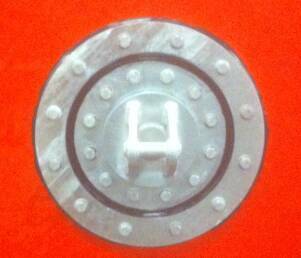 This configuration is suitable for a horizontally floating Fender (and cannot operate in a vertical position). The chain emerges through two metal end flanges tensioning the chain and maintained by a shackle. 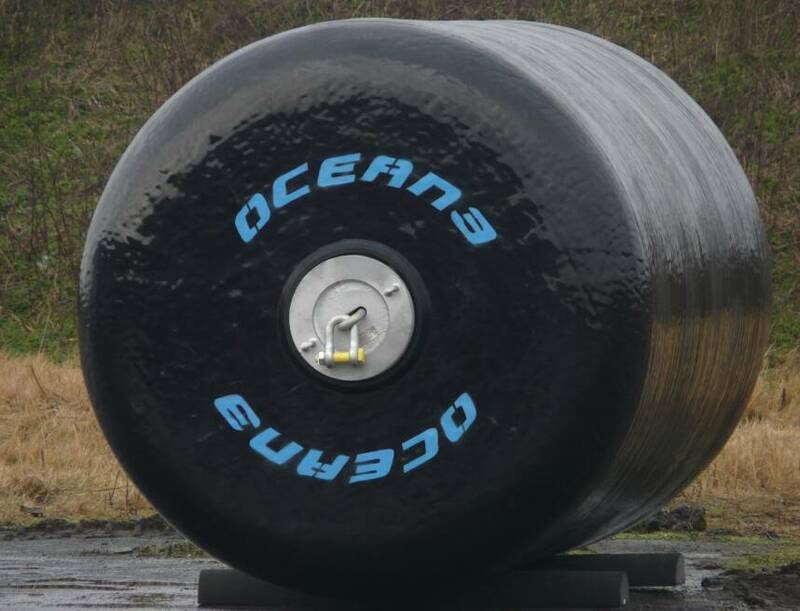 In this configuration, the diameter of Fenders ranges from Ø300 mm to Ø4000 mm. 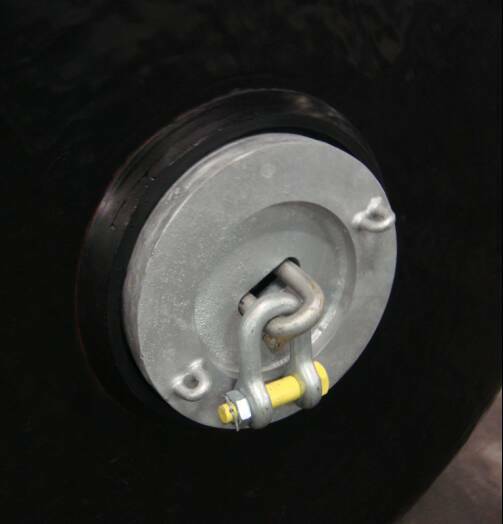 A PU Axle Fender is particularly intended to multiple types of handling (bunkering or refueling operations, frequent berthing ...) free from any steel elements or any other parts, it exhibits no risk of damaging the dock or hull when thrown overboard, or the risk of sparks when rubbing. They are manufactured with Half-rigid hollow PU Axle allowing to pass rope, chain, wire or cable (avoid rough wire that can saw/cut the Fender on the inside). The diameter of those types of Fenders tend to range from Ø200 mm to Ø 700 mm, versions up to Ø 1500 mm, however, are possible. This configuration tends to be less common for foam filled Fenders. However it is sometimes required for certain applications. A "Chain-and-Tyre" net is generally associated with pneumatic Fenders ('Yokohama' types). There are some inconvenience to it, risk of being hooked and generally expensive in maintenance. 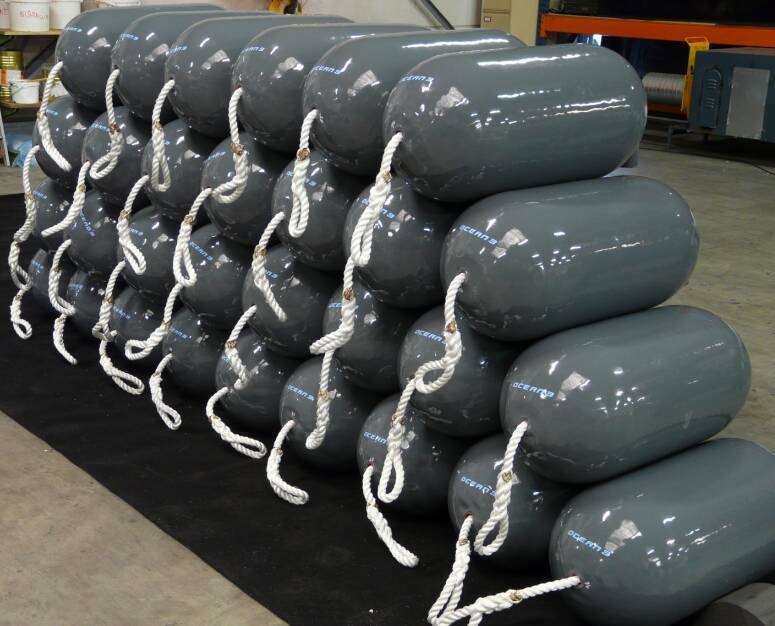 We have previously and can provide a "Chain-and-Tyre" net on request for foam filled Fenders. Minimal diameter in this version is Ø 1, 5 m to the upper limit Ø 4,0 m.
Fixation to a Quay wall with unvarying water level. This is the recommended fixation mechanism for a Fender installed in a harbour with a consistent water level (such as locks) or tide less seas (ie. Mediterranean). Chains are generally anchored to the top of the quay. This is our recommended method when the Fenders are fitted to a dock and/or jetty which are subject to tide. 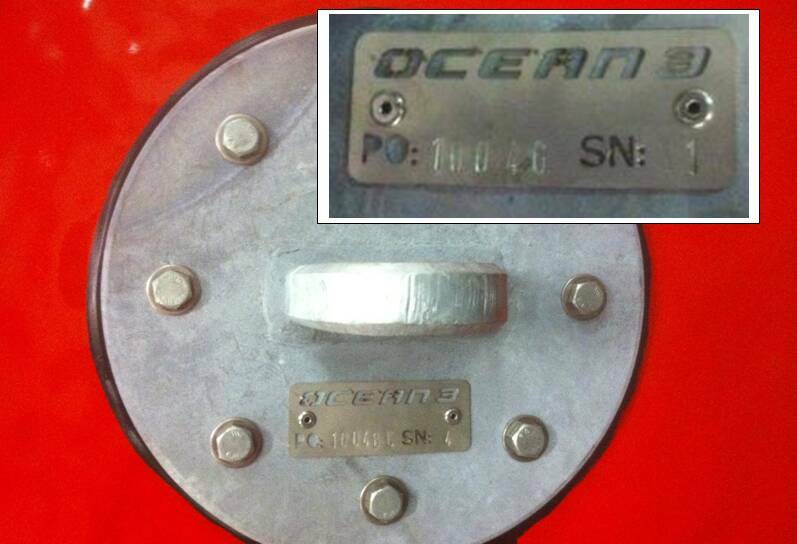 A vertically fitted "guiding wire" is fixed on plates at the highest and lowest tidal water level, this will allow the Fender to float following the tides at all time and staying at the water level. Various types of markings are available and will be made on request.